Which of the following entities can Sales Literature be associated with? Select all that apply. Define what is involved with a SWOT analysis? Social Engagement can generate which of the following options listed below directly from the social web? Which type of records can be converted from a Lead? Select all that apply. Which of the following activities can be converted to a lead? Which of the following are potential statuses of a lead record? What happens after the viability of a lead is determined? Which of the following is required to create an opportunity? When a opportunity is either won or lost, a type of activity is generated. This is referred to as what? Which of the following records can be added to an opportunity via Quick Create. Select all that apply. Which of the following actions can you perform on ACTIVE quotes? Select all that apply. Which option listed below allow users to create relationships links between two different records? Which one of the following tasks are required when creating a product catalog? Select all that apply. Which one of the following is a benefit of using the product catalog? Price lists can be thought of a 'level of pricing'. Each product might have different levels of pricing. Which one of the following statements is TRUE abbout price lists? Select all that apply. What defines the various measurements in which a product is available or packaged? Tailored lists are used for special offers. Discount lists are used according to the volume of products purchased. Discount lists are used for special offers. Tailored lists are used according to the volume of products purchased. What is the difference between tailored lists and discount lists? In Microsoft Dynamics CRM once an order is placed, what is the next step in the sales order process? There does not need to be separate price lists for each currency. Having multiple currencies affects quotes, products and invoices. Having multiple currencies affects quotes, orders and invoices. Microsoft Dynamics CRM allows multiple currencies within an environment. Which of the following statements are TRUE about currencies in Microsoft Dynamics CRM? What status must a quotes have for changes to be made? Which of the following actions can you perform on ACTIVE quotes? Which of the following ìs the correct linear order for the sales process? Every goal record is based on an underlying goal metric record with a metric type of either "amount" or "count"
A Goal Metric record specifies the record type a goal is for, as well as its owner and time period. Which of the following statements are TRUE regarding Microsoft Dynamics CRM goals and goal metrics? Select all that apply. After goal metrics are defined, which of the following is created to contain more specific information? What is the term used to describe the time period required to create goals? Rollup queries allows us to find a more distinct subset of data. Rollup queries do not allow us to roll up record sets. Which of the following statements are TRUE about rollup queries? Select all that apply. Which of the following statements are TRUE about the Parent/Child goals? Select all that apply. Which of the following components are not available to add to a dashboard directly through the Microsoft Dynamics CRM interface? Which of the following actions are available through Advanced Find? Select all that apply. When it comes to exporting data to Excel, which format creates a simple spreadsheet containing a connection to the Microsoft Dynamics CRM database and automatically refreshes the data? Which of the following statements are TRUE about charts? Select all that apply. Provides the ability to import data from Microsoft Word documents. What do PowerBI dasboards have the ability to do? You are a sales representative at a trade show. A trade show attendee leaves a business card at your booth. You need to enter the attendee's information into Microsoft Dynamics CRM for the sales team to qualify. Which record type should you create? You are adding products to an opportunity. You want to calculate the estimated revenue based on the products added. What should you do to enable this function? What is the purpose of the business process flow in the opportunity form? A staff member at your client organization sends you an email message, inquiring about a product that the client might buy. After you track the email message, what should you do? You want to share a personal chart that you created. Who can you share your chart with? Each correct answer presents a complete solution. Choose two. You create a new entitlement. What is the initial status of the entitlement? You create a new case that includes a service level agreement (SLA). You place the case on hold because you need to wait for additional information from the customer. What is the status of the SLA KPI instance record related to the case? You create a new service level agreement (SLA) and enter the amount of time that is allowed for it. You need to send an email message to the user assigned to a case when the time limit of the SLA is about to be exceeded. You need to review the case status and report the information to your manager. Which piece of information about the time of the case is available? You need to specify the number of support hours a customer will receive. You choose a case from the customer support queue. Your company mandates that all requests with customers be tracked regardless of the outcome. You call the customer and learn that the case was submitted on your company's customer portal by mistake. From the parent case, select create child case for each of the cases that reported the bug. From the active cases view, select all of the cases that are reporting the bug, and then select merge cases. From the child case, select similar cases to find the cases that reported the bug. From the active cases view, select all of the cases that are reporting the bug, and then select associate child cases. You work at the support desk for a software company. When the newest version of a popular app is released, you receive an influx of support requests regarding an issue. The research and development team identify the issue as a bug and prepare to fix it. You need to identify existing cases in which this bug was reported and relate them to one another so that they can be closed simultaneously when the bug fix has been released. A. Create a web resource, and add it to the Knowledge Base template. B.	Insert the image into the Knowledge Base template. C.	Copy and paste the image into the Knowledge Base article. D.	Drag and drop the image onto the Knowledge Base article. You are responsible for creating and managing Microsoft Dynamics CRM Knowledge Base templates and articles. A user wants an image to be added to a Knowledge Base article. A. The user is finished with that stage. B. The case is at this stage. C.	The case is ready to close. D.	There is a required field at this stage. You are the customer service manager of a call center and are performing a daily review of your team's cases. A case record owned by a member of your team has a flag in the research stage of the business process flow. A. Merge the two case records. B. Reference the case ID of the other case in the case ID field of each case. C.	Add one case to the sub-grid on the other case for similar cases. D.	Reference the case ID of the other case in the notes field of each case. Two active case records are related to the same issue but have nothing else in common. Your manager asks you to make an association between the records. You create a new user. Which record will Microsoft Dynamics CRM automatically create for the user? A. In the other dashboard, select the existing chart. B. Export the chart. Import the chart into Charts under the case entity. Go to the dashboard entity, and add the chart to the dashboard. C.	Share the chart from your personal dashboard to the case entity, and add the chart to the system service dashboard. D.	Share the chart from your personal dashboard to the system service dashboard. You create a chart on your personal dashboard. The chart displays the service technician's monthly goals for case resolution. You need to make this chart available on another dashboard. You are the team lead in a large call center. You want to know the originating source for the majority of your team's cases. You need a report that includes the following information: The number of cases each of your team members owns by Origin (Phone, Email, Web The percentage of cases owned as a proportion of total cases by Origin Which report should you use? You need a dashboard that shows your cases only. Which dashboard should you use? A. Share the dashboard with your coworker. B. Schedule the Dashboard to be Emailed as a Report. C.	Export the Dashboard to Excel, and share the Excel Workbook. You create a personal dashboard to help manage your service cases. You need to make the dashboard available to your coworker. You are the service desk manager for a large engineering firm. You want to track how many cases are resolved each month by each individual service technician. 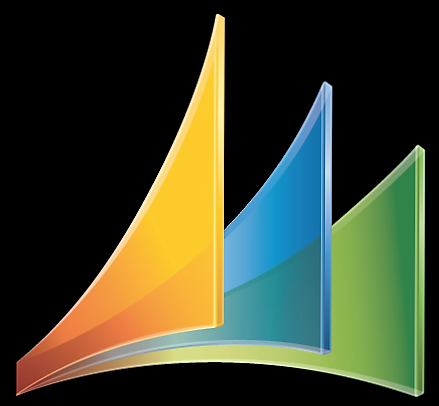 Which three items in Microsoft Dynamics CRM do you need to configure? Each correct answer presents part of the solution. Choose three. A. Create a report that displays the organization's base currency value for each opportunity. B. Add a field to the opportunity entity to convert and store the base currency value for each one, and create a report to show the opportunities with the base value. C.	Create a report that converts the value of each open opportunity to the organization's base currency. D.	Export all open opportunities to Microsoft Excel, and add a formula that converts the value of each opportunity to the organization's base currency. Employees in your organization create opportunities in Microsoft Dynamics CRM by using various currencies. You need a report that uses the company's base currency to show the value of all open opportunities. You want to use Microsoft Dynamics CRM to compile a repository of competitor information for your sales team. You create a competitor record and enter your competitor's strengths and weaknesses. Which two items can you directly associate with the competitor? Each correct answer presents a complete solution. Choose two. A. Ensure that each of your social listening search topics are assigned a category. B.	Configure social listening search topics and visuals. C.	In system settings, change the default setting for the Disable Social Engagement option. D.	Select the Reset Social Insights option to refresh the social insights data. You configure a connection to Microsoft Social Listening but cannot see social insights data in Microsoft Dynamics CRM. What should you do to make social insights visible in Dynamics CRM? Your customer wants to purchase 1,000 units of your best-selling product. Which type of record in Microsoft Dynamics CRM should you create? B. The resources are assigned to the same service activity. C.	The service activity was rescheduled twice. D.	The service activities on the schedule are conflicting. You view the service calendar with the resource view applied. You notice a box with the number two in it. What does this information identify? You are implementing Microsoft Dynamics CRM. Your company delivers training for customers on various topics. Not all trainers are capable of delivering all training classes. You need to ensure that each training service is associated with the required resource. An employee who you manage requests one week of paid vacation. You need to ensure that no work is assigned to this employee during that week. A. Convert the quote to an order, and convert the order to an invoice. B. Close the quote as invoiced. C.	Close the quote as won. D.	Convert the quote to an invoice, and convert the invoice to an order. You send a quote to a customer, who accepts the quote. You need to complete the sale and collect payment. You currently sell widgets individually. You now need to configure the product catalog to sell widgets in packs of 12. A. Mark all activities on the opportunity as complete. B. Close the opportunity as lost. C.	Change the estimated revenue to zero. D.	Activate all draft quotes related to the opportunity. A customer with an open opportunity selects one of your company's competitors. A. Create a phone call activity, convert it to an opportunity, and close the opportunity as won. B. Create an opportunity, add a phone call activity, and then close the opportunity as won. C.	Create an order, and then add a phone call activity. D.	Create a phone call activity, and convert it to an order. A customer calls and wants to make a purchase. You need to record the phone call and the purchase in Microsoft Dynamics CRM. A customer purchases a widget at retail price. Another customer purchases the same product at wholesale price. What should you create to enable both customers to pay the correct amount? A. Assign a security role to the queue. B. Choose public as the type. C.	Assign members to the queue. D.	Choose private as the type. The call center handles many types of support calls. Cases for customers requesting account balance information must be routed to a queue for the accounting department. You need to set up a queue for these types of requests. Your organization uses business process flows to help users complete their cases. You want the stage of a business process flow to automatically change when a field value is set to research complete. The service desk frequently receives email requests directly from contacts that are not currently in Microsoft Dynamics CRM. You need to configure an automatic case creation rule to ensure that these requests are not overlooked. Which option should you select in the case creation rule? Your company's support team is handling all inbound requests for support for a new product. You want to configure Microsoft Dynamics CRM so that phone calls and email messages regarding the new product are held until a team member with expertise on the new product is available. The phone calls and email messages need to be assigned in the order in which they were received. A. Create an entitlement with two service level agreements (SLAs) for each type of support. C.	Create an entitlement, with two entitlement channels for each type of support. D.	Create an entitlement, and link to two templates for each type of support. A customer can use 80 hours of phone support and 20 hours of email support, according to the agreement you set up with this customer. You need to configure an entitlement. A. Select the SLA in the cases for the selected customers. B. Select the SLA in the entitlements for the selected customers. C.	Select the SLA and then use the Set as Default function. D.	Select the SLA on the customer account for the selected customers. You need to configure Microsoft Dynamics CRM to use a special service level agreement (SLA) for selected customers. An entitlement for a customer has a status of Active. You need to make changes to the entitlement. What should you do before making the changes? Click Edit in the Action pane. You plan to bulk import new case records. You do not want the service level agreement (SLA) to apply to the new cases. Set the Disable the SLAs system option. Set the Ignore SLAs import option. Add a territory to each sales person's record, and add the sales manager and territory to each opportunity record. Add a sales manager to each territory record and to each sales person's user record. You have a potential sale with a prospect that you met at a trade show. You enter the prospect as a lead in Microsoft Dynamics CRM. How should you move the lead forward to track the potential sale? Enter products into the Lead Form. Close the lead as won. You want to aggregate customer feedback from social websites in order to identify buying trends and customer opinions toward your company's product. Your company's marketing team attends a conference and collects business cards of attendees who do not already use your services. After the conference, the team enters the information from the cards into Microsoft Dynamics CRM. You assign the records to the sales team so that the team can decide which products and services align with the attendees' needs. Which common business scenario in Microsoft Dynamics CRM does this sequence of events depict? You identify and create a new case. Your service team's process requires that you hand the case off to another service representative for resolution by adding the case to the service representative's My Active Cases system view. You need to ensure that the service representative sees the new case in this view. Which action should you perform on the case? You need to reactivate a case you cancelled two days ago in order to update the description. In which two Microsoft Dynamics CRM system views will you find the case? Each correct answer presents a complete solution. Choose two. You need to create a new case to document the request. You complete your work on a queue item and want to allow others to work on it. You are viewing the opportunity by status chart and want to see the records that have a status of open. What should you use on the chart pane? An existing goal tracks the number of cases resolved per month. You need to enable it to show the number of cases that are still open. Create a new goal, and add it as a child to the existing goal. Create a new goal metric, and add it to the existing goal. Add a new rollup field to the existing goal metric. Add a rollup query to the existing goal. You need to ensure that the estimated revenue for your opportunity is calculated correctly based on the most recent territory price list and the associated products. Which method should you use to configure the opportunity pricing? You need to log the call and create an opportunity for the potential sale. You are a marketing specialist. You receive an email message from a prospective client who was referred to your company by a current client. You need to add the client to Microsoft Dynamics CRM so that a salesperson can follow up with the potential client. After tracking the email message, what should you do? Convert the email message to an opportunity, and assign it to a salesperson. Convert the email message to a lead, and assign it to a salesperson. Create a task, and set the Regarding field to the existing customer who referred the potential client. Create a new account for the potential client and assign a follow-up phone call activity to a salesperson. Which three items can you add to a closed opportunity? Each correct answer presents a complete solution. Choose three. You are implementing Microsoft Dynamics CRM. Your company requires employees to perform warranty repairs at the customer site. Where should the warranty repairs be configured in Dynamics CRM? A junior inspector can supervise one inspection at a time. A senior inspector can supervise two inspections at a time. Which two settings should you configure when creating the schedule? Each correct answer presents part of the solution. Choose two. A customer calls to change the date and time of a service activity. You have limited dates, times, and resources available for the customer request. You need to update the information from the service calendar. Use the reschedule option, and resolve any conflicts. Use the appointment option, and resolve any conflicts. Drag the service activity to the correct date and time on the calendar, and resolve any conflicts. Use the schedule option, and resolve any conflicts. You create an opportunity view and want to export the fields in the view for further analysis. You need to ensure the data can be refreshed automatically without requiring the data to be re- exported. You create an opportunity and need to add products. What should you do before adding the opportunity products? Change the revenue setting to user provided. Change the revenue setting to system calculated. You are customizing Microsoft Dynamics CRM. You want to create a new custom entity Project You need to be able to assign owner teams to it. Which ownership type should you use? You are customizing Microsoft Dynamics CRM. What should you do before you delete a custom entity? You are creating a custom event entity to track trade shows. You want to associate multiple accounts with multiple events, and you want to store additional field values about the account's involvement in the event, such as number of attendees from the account. How should you configure this relationship in Microsoft Dynamics CRM? A. Create a native N:N relationship between account and event Add the additional fields to the account entity. B. Create a manual N:N relationship between account and event. Add the additional fields to the relationship entity. C. Create a 1;N relationship between event and account Add the additional fields to the event entity. When the annual revenue on an account reaches more than $5 million, you want the category on the account to change to Preferred customer. You need to create a business rule to achieve this goal. Which two actions should you perform? Each correct answer presents part of the solution. Choose two. A. Create a condition where Annual Revenue is greater than value: 5,000,000. B. Add a step to update the record with the category of Preferred Customer. C. Create a scope where Annual Revenue is greater than 5,000,000. D. Create an action to set the category to Preferred Customer. You are creating a new business rule. You need to ensure that the Actions you add to the rule are required to happen on all forms, including the Quick Create form. What should you do? A. Add a condition to the business rule that it must apply to all forms. B. Set the Scope field on the business rule to All Forms. C. Use a formula on the business rule to specify the number of forms. D. Under set field value, set the value to All Forms. You have a System View that contains all active accounts. You want a similar view that also includes inactive accounts. You need to create a copy of the System View. What should you do? In Microsoft Dynamics CRM, you create a custom Event entity for storing events and a custom Event Type entity for storing possible Event Types for events. You add 20 new fields to the Lead entity in Microsoft Dynamics CRM. You also add these fields to the Account record. You want to customize Microsoft Dynamics CRM by adding several former vendors from the account as well as the time span of the business relation between the account and these vendors. A. Add an N:N-relation between accounts and competitors. B. Add a manual N:N-relation between accounts and competitors, and remove the Name property of the manual intersect entity. C. Create a connection role named former vendor, and ensure the competitor and account record type are selected. D. Add an N:l-relation between accounts and competitors. You are creating a custom event entity to track trade shows. You want to associate multiple accounts with multiple events, and you want to store additional field values about the account's involvement in the event, such as number of attendees from the account. D. Create a native N:N relationship between account and event Add the additional fields to the event entity. You want to add a drop-down list control on a form to present a fixed list of choices to the user. You customize Microsoft Dynamics CRM for a customer. Your customer has the following requirements for custom attributes: Users should not be able to add filters for this field in Advanced Find. The fields should be available when customizing views. You are a Microsoft Dynamics CRM consultant. You are assigned a new implementation. Before you configure the customer's environment you want to set the Option Value Prefix for your solution. You want the custom entities and custom attributes distributed by your solution to have the prefix "contoso_". A. Create new entities and attributes, and define the prefix as "contoso_". B. Create a new publisher, and define the publisher's prefix as "contoso". C. Create a new solution, and define the solution's prefix as "contoso_". D. Open the System Settings, and change the prefix of the organization to "contoso_". Each environment represents a stage in the promotion of your work. You need to transfer custom entities and fields between these environments. Which mechanism should you use? Which two designs can you configure? Each correct answer presents a complete solution. Choose two. A user from the sales team is transitioning into the service department. The user has both Sales Representative and Customer Service Representative security roles. The user's default pane and default dashboard need to be set. A. Change the user's Business Unit to Customer Service, and then have the user set the default pane and dashboard in the user options. B. Locate the user's desired pane and dashboard in the Default Solution components, and set it as the default. D. Locate the user's desired dashboard, and enable security roles for it. Assign the Sales Representative role to the dashboard. You are a Microsoft Dynamics CRM specialist for an organization. The marketing and sales teams at the organization exist within different business units. Your organization decides that a marketing employee's personal chart could be very useful to the sales team. You are creating a custom entity named Transaction. This entity needs to be an available activity that you can create from the contact entity. What should you do to configure the entity? A. Create a 1:N relationship between the contact and transaction entities. B. Check the Display inactivity menus check box on the transaction entity customization form. C. Check the Define as an activity entity check box on the transaction entity customization form. D. Check the Activities check box on the transaction entity customization form. You want to create a new custom entity Project You need to be able to assign owner teams to it. B. Save the new business process flow to refresh the Entity list. You are creating a new business rule. You need to ensure that the Actions you add to the rule are required to happen on all forms, including the Quick Create form. B. In the users' Security Role, grant an Organization level Create permission for the Contact entity. You have a System View that contains all active accounts. You want a similar view that also includes inactive accounts. B. Use Add Columns to add the Business Phone and Mobile Phone. Click View Properties to set the column position's numeric value. You need to delete a custom Public View from the System View area in Microsoft Dynamics CRM so that the Public View does not appear to any users. Which two preliminary actions should you perform? Each correct answer presents a complete solution. Choose two. You are performing an initial deployment of Microsoft Dynamics CRM. You create a view named Local Contacts. You want to reduce the amount of data stored in auditing in Microsoft Dynamics CRM. Your Dynamics CRM environment has multiple audit logs. You need to delete at least one audit log. A. Select the most recent audit log, and click delete. B. Create a bulk delete job, and select the audit entity. C. Select the oldest audit log, and click delete. D. Select multiple audit logs, and click delete. You are configuring user access in Microsoft Dynamics CRM. You need several accounts to have a fixed group of people who have extensive permissions to these accounts. Your organization uses the Manager hierarchy security model in Microsoft Dynamics CRM. You need to grant a sales manager access to records owned or shared with a salesperson. Which two conditions must be met? Each correct answer presents part of the solution. Choose two. A. The manager has the Sales Manager security role. B. The salesperson has the Salesperson security role. C. The manager has user level read access to the entity. D. The salesperson directly reports to the sales manager. Users at your company do not need the No Orders in Last 6 Months option in the public view accounts. You need to remove this view from the list of views. A. Deactivate the view from system settings. B. Delete the view from the customizations area. C. Deactivate the view from the customizations area. D. Delete the view from system settings. A System View's email address is truncated. You need to resolve this issue by editing the view. Your System View shows all contacts who work for educational institutions. You want to change the view so that it also shows contacts who work for government organizations. Which two actions should you perform in System View? Each correct answer presents part of the solution. Choose two. A. Paste in the Fetch XML for your new query. B. Select Edit Filter Criteria. C. Add the additional query criteria. You are updating custom entities in Microsoft Dynamics CRM. Which three custom entity options can be disabled after they have been enabled? Each correct answer presents a complete solution. Choose three. You create a custom entity named Project. You want Top-Project instead of Project to appear in the UI for this entity. You create two entities, Event and Booking, in Microsoft Dynamics CRM. The Booking entity references the Event entity with an Event lookup attribute in the Booking entity. This Event lookup attribute is used on the Booking form as lookup control. You want to delete the Event entity. A. Delete the Event entity; all references are deleted automatically. B. Remove the lookup attribute in the Booking entity. C. Remove the lookup control on the Booking form. D. Remove the relationship between Event and Booking. You create a custom entity named Event in Microsoft Dynamics CRM for your customer. Your customer has specific requirements regarding naming conventions. Which information is always part of the Schema Name of a custom entity? You need to convert a personal chart to a system chart in Microsoft Dynamics CRM? A. Export the chart from the chart pane, and import it into the entity customization chart area. B. Create a solution that includes the personal chart and import the solution to create the system chart. C. Go to the entity customization, and recreate the chart as a system chart. D. Share the chart with all other Dynamics CRM users to convert it to a system chart. You create a personal dashboard and want to make it available to a group of other Microsoft Dynamics CRM users. You are consulting for a company that needs a new system chart for their Account entity. Which three locations in Microsoft Dynamics CRM can this chart be consumed? Each correct answer presents part of the solution. Choose three. You create a new business process flow on the account entity for your inside sales team. The business process flow has four stages. The first stage contains three fields from the account entity. All of these fields are required in the business process flow, and one field is read-only because of field security. A salesperson reports that no one can move past the first stage. A. Create a security role that grants the inside sales team the ability to read and update the account entity. B. Create a field security profile for the inside sales team that grants them the ability to read all of the fields in the first stage. C. Create a field security profile for the inside sales team that grants them the ability to update the read-only field in the first stage. D. Modify the existing inside sales team's security role and mark the Activate Business Process Flows Miscellaneous Privilege. You want to add a custom attribute for alphanumeric values. This attribute should be displayed on the form as multiline control. Which two Data Types should you use? Each correct answer presents a complete solution. Choose two. During the export process, Microsoft Dynamics CRM identifies a dependency from the account ledger's Lookup field to the opportunity entity and asks you to include the opportunity entity within the solution. You exclude the opportunity entity from your solution export. What happens to the solution? A. It fails to import because opportunity does not yet exist. B. It fails to import because opportunity was not in the solution. C. It successfully imports with the relationship to opportunity. D. It successfully imports without the relationship to opportunity. You need to grant a third party the appropriate rights to create new entities and system charts within Microsoft Dynamics CRM. Which two standard security roles should you use? Each correct answer presents part of the solution. Choose two. You need to create a solution file to import into another environment. Your customer needs a customization of Microsoft Dynamics CRM to include a venue. A. Create a new venue view. B. Create a new venue entity. C. Create a new venue connection role. D. Rename the contact entity to venue. You import a managed solution that modifies the account entity. You then import an unmanaged solution that also modifies the account entity. What is true about this scenario? A.The modifications from the unmanaged solution will overwrite the modifications from the managed solution. B.The modifications from both the managed solution and the unmanaged solution will be merged together. D.The modifications from the managed solution will not appear. You are deploying Dynamics CRM 2015. You configure the following settings: • Server Profile • Incoming Email • Outgoing Email Users will not use Microsoft Dynamics CRM for Outlook. You need to identify a method to implement synchronization for appointments, contacts, and tasks. What should you use? You need to upgrade all of the Microsoft Dynamics CRM for Outlook installations to Dynamics CRM 2015. What should you upgrade before you install Microsoft Dynamics CRM 2015 for Outlook? You have a deployment of Dynamics CRM 2015 that has 50 users. A user named User1 has Microsoft Dynamics CRM 2015 for Outlook installed. User1 plans to manage another Dynamics CRM 2015 organization from Microsoft Outlook. You need to add the second organization to Outlook. What should you do? You plan to deploy Dynamics CRM 2015 for a customer. The customer requires that the Email Router component be used. You need to identify to the customer which email solutions are supported by the Email Router. Which three email solutions should you identity? Each correct answer presents part of the solution. You are using the Dynamics CRM 2013 Email Router to transfer email to a Dynamics CRM 2015 server. Users report that email is tracked, but tasks, appointments, and contacts are not tracked. You need to ensure that the tasks, appointments, and contacts are tracked. What should you do?